“There is such potential when you work with youth that you don’t see in the rest of the population. . . .
Editor’s Note: Whose heart is NOT captured by a photo of an orphan? 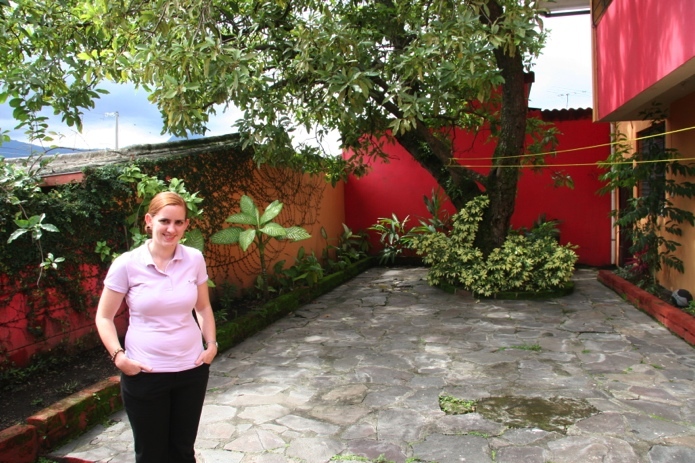 Visiting orphanages is a common request for international delegations to many countries, El Salvador included. Orphanages are somewhat of a curiosity for us Americans perhaps because we have so few left in the U.S. and we long to interact with those dear little parent-less people. [In El Salvador children in orphanages often DO have parents. However, they do not have the means to provide for them.] We personally sponsor two of them in a Salvadoran orphanage. But what happens to those children when they turn 18 and are required by law to leave those orphanages? At the startling young age of twenty when many college students are still trying to find majors that suit them, Victoria had already made some weighty life decisions. She was headed to El Salvador, an impoverished country that had just three years before signed Peace Accords after fighting a long, bitter, civil war and was still in upheaval and turmoil. This was no accidental visit; this was a purposeful decision she had been pondering since junior high. Now six years later, meeting Victoria for the first time, we are struck by her youth, slight build, gentle nature, and soft-spoken voice. Gosh, she almost appears fragile. We know that not to be true, of course, based on all we have read about her before arriving. If anything, she is tenacious and passionate for people and is committed to making things happen for them. As she shared her story, her electrifying energy and vitality for the nonprofit organization she created, Nuestro Ahora, Inc. (“Our Now”), filled the premises. Victoria quite literally lives and breathes life into this project day in and day out. Why? Victoria sometimes met those same kids she had known in the orphanages later as young adults living on the streets hawking goods or in worse situations. They had no good options for jobs, for making good decisions, or for using their faith in their lives. That troubled her heart and guided her actions. Victoria was determined to find a way to address that unserved population. She saw a need, actually a void in the educational system for students coming out of orphanages, and had a compelling desire to help them. She developed a plan and rallied others into joining her crusade. Awareness of mission outside the U.S was something I grew up learning about in the church and at home. Born on August 7, 1985, I grew up in western Massachusetts, where my parents raised my younger brother and me in strong Roman Catholic traditions. Both my parents were active in our parish’s mission in Peru. I recall my grandmother telling me that she always wanted to be a missionary in Africa. The parochial school I attended was supportive of mission work. As a young child who attended daily Mass in a Catholic school, I participated in all the religious rituals and roles expected of a child at that time, including summer church camps. Along about fifth grade, reality set in when I discovered that not everything I had learned was exactly true. It was very unsettling for me. When I attended a Notre Dame program as a junior, I learned that you can still have faith without having to accept that everything in the Bible is literal. In junior high, a significant, life-altering experience, which continues to impact me every time I see it, was watching the documentary “Roses in December” about Jean Donovan, one of the four church women murdered in El Salvador in 1980. As a theology major at Boston University, I even considered studying in Ireland to follow in her footsteps. [Jean was from Connecticut, but studied in Ireland before going to El Salvador.] This was an epiphany in my life. El Salvador kept beckoning me because of the Jean Donovan film. The highlight of it for me was her haunting question to the effect “Who will be left for the children?” She had abandoned a life of comfort and ease, as well as a family, because she felt a calling to do this work. It offered her few worldly benefits. She had other options available. There was something so pure about what she was doing. While here studying, like Jean Donovan, [and Dorothy Kazel, another of the martyred church women], I too, volunteered in the COAR (Comunidad Oscar Arnulfo Romero) orphanage two days a week. Later I moved there on campus where I could interact with the children more fully. It also afforded me the opportunity to observe and learn. Returning to the States to complete my senior year in college gave me time to meditate and reflect on the chasm between the world in which I lived and the world I had experienced in El Salvador. I yearned to return to El Salvador to see if I could address some of the issues I had observed. A tough reality is that by law in El Salvador at age 18, a young person can no longer live within an orphanage. These young people often are just not ready for independent living. They often face rejection. Their alternatives waiting on the outside include gangs, pregnancy, HIV/AIDS, migration, and a life of minimum waged jobs. In short, all the time and effort that was given to eighteen years of a child’s life in an orphanage is in vain, if he or she returns to the streets and the cycle of poverty is permitted to continue. I felt that these alternatives were unnecessary and unacceptable and wanted to see if I could interrupt that downward spiraling cycle of poverty. With one more intensive step in the educational process, I felt that these negative lifestyles can be bypassed. Nuestro Ahora (“Our Now”) was born to address these youth. My goal in forming this nonprofit was to help bridge the gap between the protective setting the youth lived within the orphanages and the uncertainties of independence in the outside world. Meanwhile, I had completed the required paperwork and received notification that I was accepted into a program for work in Uganda. Yet, something was tugging at me to return to El Salvador. On the conscious level I told myself that it wasn’t fair to give up on the relationships I had begun to form in four months. It was just too soon. 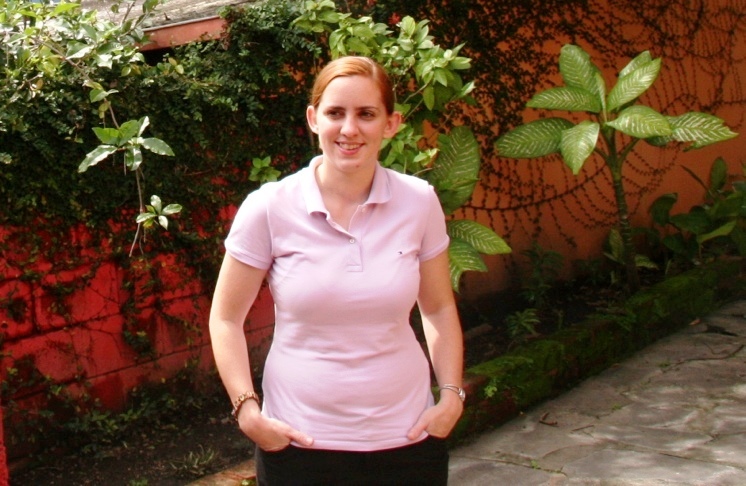 Instead, I chose to return to teach at the international school in San Salvador while working on my graduate degree in International Education Development and Administration at UCA. Nuestro Ahora is a multi-faceted organization in terms of population and programs. We work with thirteen of the orphanages across the country and are aware of students from the time they are in sixth grade through high school. Our first efforts begin with Friday nights here at our center where currently twenty-five students gather to discuss their faith and their futures. While gathering around a meal, they interact, problem solve, and bond. Salvadorans are very strong advocates of community, and we try to use the same cultural emphasis in our approach here by everyone working together, whether it be for the purpose of meal planning or resolving conflict. There is another group of youth we intervene with also. These are the youth who are dismissed from the orphanages for various reasons, such as acting out behavior. We try to get to the root of issues that are discussed by addressing respect and educating them to make responsible decisions to avoid things like pregnancy. A goal is to help these youth become responsible adults by giving them the tools they need to survive through education. Twenty-five high school seniors spend weekends here. I call them “weekend scholars.” They receive intensive academic tutoring and learn the necessary technology to help prepare them for the next step in their education. A large focus of Nuestro Ahora is its scholarship program. These are the students who are soon ready to return to the community. We select specific youth whom we encourage in their university study. We have seven full-time scholarships right now. The students live here dormitory style where they receive not only an education but also housing and meals, as well as hope. The stellar students receive a small stipend. The program runs from March through November. The reality is that we don’t have the funds to offer scholarships to more students. The Ministry of Education recognizes our organization as enrichment services. Our students have had a high rate of university acceptance from the year of intensive tutoring we provide. Three universities have offered our program one scholarship each. They have continued to renew those spots annually. I am in the process of working with three more universities to provide a scholarship each for us, thus doubling the amount we can offer. Students who choose careers in places such as call centers, which are becoming popular in this country, find language success vital. I am in the process of trying to work with Rosetta Stone to obtain some donations of their programs to help our students. Besides the academics, we try to broaden the scope of our program by introducing speakers on topics such as vocational talks from various types of careers and meet with bankers regularly so students can implement responsible business plans. We will often take the students to visit universities as well as other areas of interest. Another component of our program stresses service. We work in the community together doing projects such as volunteering with Habitat for Humanity. While living here in a small home environment, we teach the students organizational skills that will ensure them success. These include living with responsibilities such as specific job charts which are posted as part of their daily routines. On a rotating basis they are responsible for their own meal planning, shopping, cooking, and cleaning. When they accept the structure imposed on them and then integrate it into their own lifestyle, they will be better equipped to handle independent living in an apartment later. Our board of directors makes all decisions regarding relationships and responsibilities for living together on-site. Generally there are no issues that cannot be self-monitored and self-regulated. If any problem comes to my attention, we have policies in place on how to handle it which the students respect and sign off on these procedures before they begin. It is rare to have a problem because the students are aware that it is a privilege to be chosen to be here. I teach mornings in the international school to help subsidize the needs for Nuestro Ahora. We are setup as a nonprofit both in the States and here in El Salvador to receive donations, too. When I visit back in the States, I do fundraising events. The students sometimes challenge me in making the choice I have in living here with them rather than working back in the States and sending more money back to support additional students. The truth is that I could make more money in one month in the States than I do in one year here. The choice to live here in solidarity with them and continue to develop the program is sometimes hard to explain to them. The issues that most interest me regarding faith include the history of the church and why people believe what they believe, the ethics of theology, people’s personal faith stories, and how faith can be used as a guide for people. Many of El Salvador’s 200 orphanages are run by priests. What I was noticing when I lived in the orphanage, is that the children in those orphanages were learning to recite their prayers by rote quite well. However, it is very hard for those older youth to use their religion to face life’s problems. In Nuestro Ahora we have “reflections” every night to discuss how we saw our faith at work during that day. I’ve come to learn that the scandals in the Catholic Church exist here also. Many persons have become disillusioned, struggled with their faith, and left the church altogether. We don’t want our youth to abandon their faith, but rather to “ground” them throughout their lives. I had considered and struggled with living and serving in the capacity as a nun when I first arrived in this country. After years of living here, I’ve discovered that El Salvador is not a country in which priests and nuns live happily ever after. People practice a different type of faith here. My greatest joy is my parents’ investment in my brother and me. They have always supported my work. They come to visit here and get to see some positive things happening in this country. Unfortunately, the American press tends to dwell on the negative stories. My greatest disappointment is not being back home in the States during special family events and holidays. I missed my brother’s graduation and many Father’s Days, Mother’s Days, Christmases, and Easters. It is hard. I am fearful that by my choosing to live this distance away from home and being absent for those special times will be mistaken for my not caring about my family. That distresses me. In addition to hoping to finance more scholarship students, I have a goal to move this program into another property. This place is well-located because it is within walking distance of UCA for the students. The downside is that it needs a great deal of work done to it. The roof leaks and the rainfall sometimes shorts out various electrical sockets, making it unsafe and dangerous. We could use a larger facility with more bathrooms and a larger kitchen, too. Working in El Salvador has made me more honest with myself. When the time comes that I feel uncomfortable being here, for whatever reason, I should no longer stay. Someday I hope to go to Africa. I have had serious conversations about duplicating this program in Honduran orphanages. I hope to have my own children someday. There is such potential when you work with youth that you don’t see in the rest of the population. There is just no dimming frailty to youth. I consider the program successful when I witness the students helping one another voluntarily and living what they have been taught. Editor’s Note: Victoria seemed to feel a call to serve at a very young age. Her dedication to her cause is overwhelming. She constantly self-assesses her program in an effort to improve, expand, and refine its effectiveness. She manages the limited funds with which she has to work. The students may beg to get a ride somewhere but gas prices are at a premium and it is saved for group outings only; therefore, she tells them they need to walk or take a bus. Here is an illustration of Victoria’s resourcefulness at making a bit of money wherever she sees an opportunity. As we were taking photos beside the large avocado tree in the back courtyard, she recounted how last year that tree had produced a prolific avocado harvest. The group decision was to sell their entire crop of about 300 avocados and use the proceeds to purchase a large whiteboard for their classroom. She proudly showed us the choice, and her contagious enthusiasm just overflowed! In late Fall, 2011, we were contacted by Victoria that she had applied for a $3 million award through the Chase Community Giving Program for nonprofit charities. I read on-line that Nuestro Ahora received a $250,000 award from that group. Congratulations, Victoria! We know she will invest that money wisely in Nuestro Ahora. See http://nuestroahora.blogspot.com for more information and ways to make tax-deductible donations using any major credit card.